Shooting birds with a bow is a great way to challenge yourself as an archer. Isn’t that why most of us choose archery gear in the first place, to challenge ourselves, our hunting skills and patience? Shooting birds with a bow takes practice, a lot of practice. If you want to be able to practice without risking losing arrows go to Snaro.net and check out all of their products. Shooting birds with a bow with a Johnny Flu-Flu and a Snaro will not only up your odds of being successful shooting targets and on live birds, the combination makes it almost impossible to lose arrows. The Flu-Flu arrows lose energy a lot quicker than an arrow with other fletching and the Snaro not only increases your chance of a hit, it will not allow your arrow to slide under the grass to be lost forever. 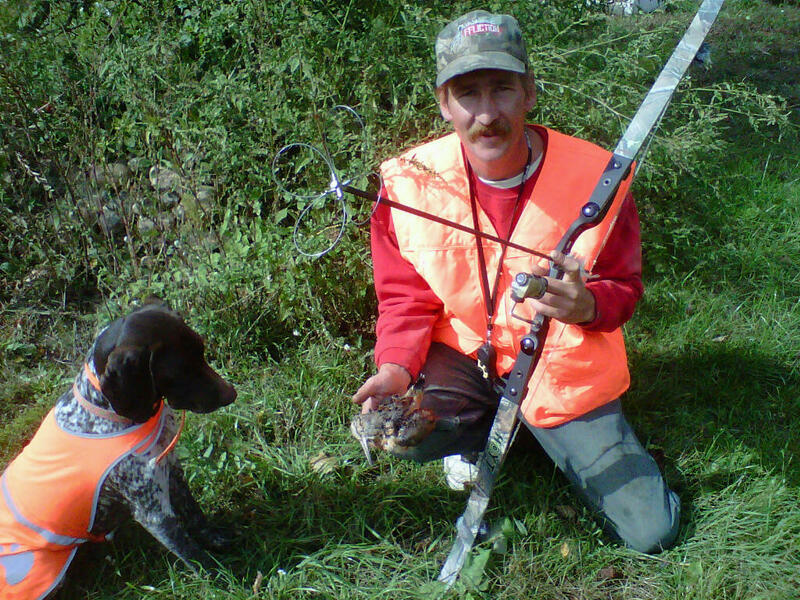 Shooting birds with a bow was new to me until I went to Birdseye View in Wisconsin and hunted quail with Carey. Before we hunted the quail we practiced on all sorts of aerial targets, from large foam discs to golf balls pitched out across the yard. Over the course of a week we shot hundreds of arrows at targets and at quail and the only two arrows lost were arrows that hung up in trees at the edge of the field. With the Johnny Flu-Flus tipped with Snaros the rest of our arrows usually were lying right on top of the cover in the food plots and the sweet fern and very easy to find.